Festival results are still coming in, but it looks like the world’s largest pumpkin to-date has outgrown last year’s record which was an amazing 2,032 pounds (921.7 kg) grown in California in 2013. Pumpkin weigh-offs are happening around the world and in the United States at county and state fairs for the 2014 crop. While some growers are in it just for fun, others are trying to beat the record. A pumpkin is a gourd-like squash with a leathery shell when mature. The shell is typically thick, orange or yellow in color, but may also be dark green, pale green, orange-yellow, white, red or gray. Pumpkin shapes differ between varieties and may be round to oblong. Most commercial pumpkins range in weight from less than 1 pound (0.45 kg) to more than 12 pounds (5.4 kg). 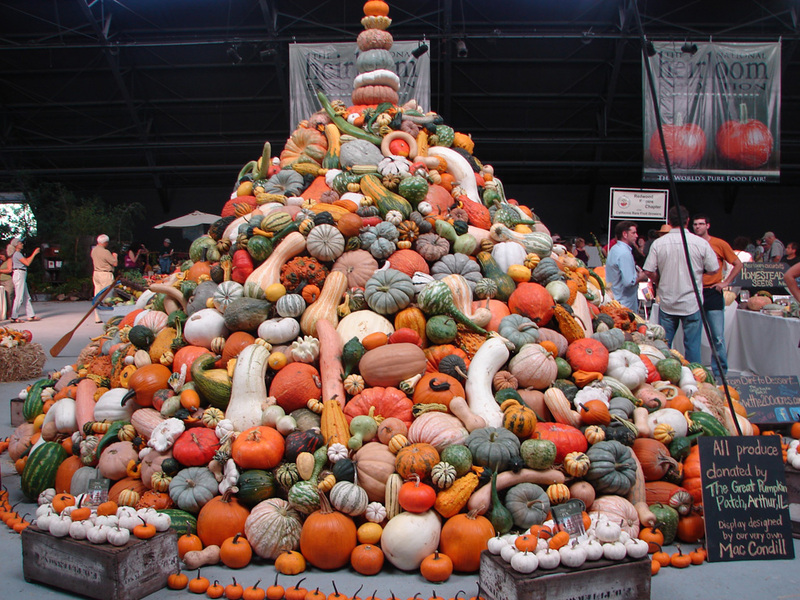 This towering stack of gourds and squash loomed over the first annual National Heirloom Exposition. The event, attended by more than 10,000 people, was held at the Sonoma County Fairgrounds in Santa Rosa, California in 2011. Photo by Lucia Kaufmann. Pumpkins are in the genus Cucurbita and the family Cucurbitaceae, which also includes gourds, cucumbers and watermelons. Most pumpkins used at Halloween for Jack-o-lanterns are the bright orange and uniformly shaped Cucurbita pepo. Many of the largest pumpkins, including the popular “Boston Marrow” and “Mammoth,” are Cucurbita maxima. Small cooking pumpkins are normally Cucurbita moschata. Pumpkins may have originated in South America, perhaps around Buenos Aires, according to the Smithsonian (Oct. 2011). Pumpkin seeds found in Mexico and dated between 7000 and 5500 BC are the oldest known in the world. American Indians had been using pumpkins as a staple in their diets long before Columbus arrived in the New World in 1492. Soon after European settlers arrived in the colonies, they also added pumpkin to their diets. In fact, pumpkin may have been served at a harvest feast between the Pilgrims and Wampanoag Indians in 1621 on which our Thanksgiving holiday is based. Traders took pumpkin seeds to Europe and the pumpkin rose to popularity there. Pumpkins are grown around the world for many purposes, including commercial food, ornamental sales and agricultural use, such as feed for animals. 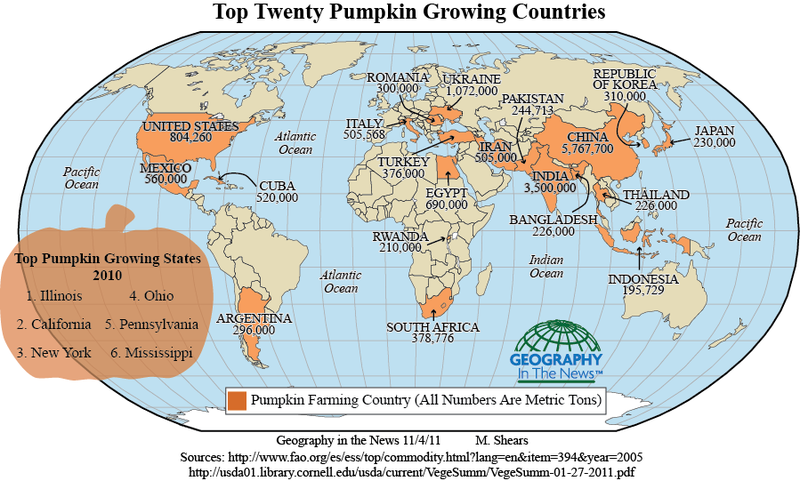 The world’s top producers of pumpkins include China, India, Ukraine, the United States, Egypt and Mexico. In the United States, the market for pumpkins is considered limited and seasonal. Most pumpkins are grown for processing, such as in canned pie filling. A smaller percentage is grown for ornamental sales, like gourds and Jack o’lanterns. According to the U.S. Department of Agriculture 2013 Vegetable Summary, pumpkins (for human consumption) harvested from 50,900 acres (20,598 hectares) were valued at $149.9 million. That amounts to 1.3 billion pounds (589 million kg) of pumpkins. The top pumpkin producing state is Illinois with 547 million pounds (248 million kg). In fact, many of the processed pumpkins grown in the United States are raised within a 90-mile (145-km) radius of Peoria, Ill. The town of Morton, Ill., is the home to a Libby’s pumpkin processing plant. Libby’s is owned by the Nestlé Food Company, which annually cans more than 85 percent of the world’s processed pumpkin. Following Illinois in pumpkin production are California, New York, Ohio, Pennsylvania and Michigan. Competitive pumpkin growing is serious business, particularly in the United States and growers may spend thousands of dollars a year trying to produce the “Big One.” The hobby’s elite growers search out the best seeds from other big pumpkins and spend hundreds of dollars on laboratory analyses of soil and plant tissues. A 493.5 pound (223 kg) pumpkin was the world’s largest in 1981, but science and technology greatly have expanded the potential for larger pumpkins. World champions aren’t good cooking pumpkins, however. It’s a shame, as only the smaller cooking pumpkins are used to make those delicious Thanksgiving pies. Sources: http://usda01.library.cornell.edu/usda/current/VegeSumm/VegeSumm-01-27-2011.pdf ; http://www.agmrc.org/commodities__products/vegetables/pumpkins.cfm; http://www.nytimes.com/2011/10/06/garden/the-race-to-grow-the-one-ton-pumpkin.html?_r=1&scp=2&sq=pumpkin&st=cse; and Borrell, Brendan, “The Great Pumpkin,” Smithsonian, Oct. 2011. 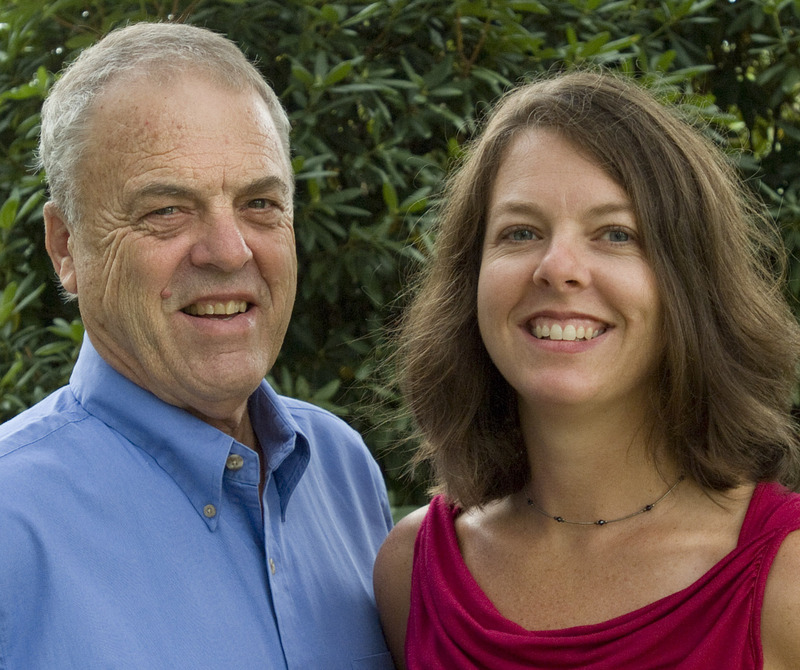 Celebrate the Seasons: Ideas for families and educators. leave the pallet with a clean and crisp feeling without a sweet after taste.